The world's first centre for doctoral training in agricultural automation and robotics is to be opened in Lincolnshire. The new training centre in agri-food robotics will create the largest ever cohort of Robotics and Autonomous Systems (RAS) specialists for the global food and farming sectors, thanks to a multi-million pound funding award. 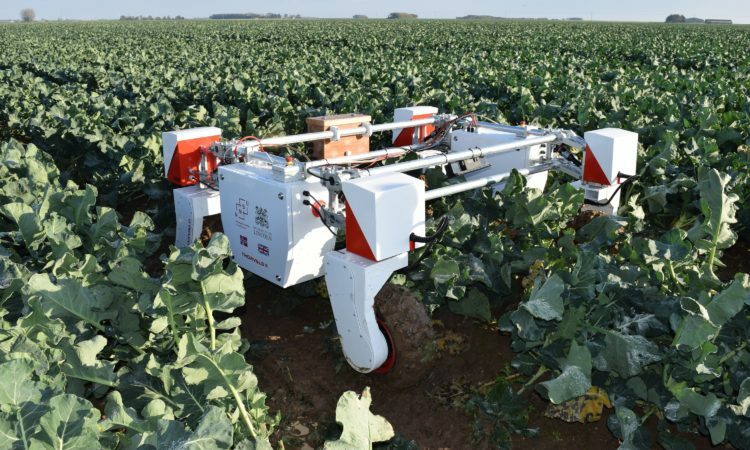 The world's first Centre for Doctoral Training (CDT) for agri-food robotics is being established by the University of Lincoln, in collaboration with the University of Cambridge and the University of East Anglia. The new centre has been awarded £6.6m, which will see a massive influx of high-level robotics expertise at a vital time for the agri-food industry. The CDT will provide funding and training for at least 50 doctoral students, who will be supported by major industry partners and specialise in areas such as autonomous mobility in challenging environments, the harvesting of agricultural crops, soft robotics for handling delicate food products, and ‘co-bots' for maintaining safe human-robot collaboration and interaction in farms and factories. Automation and robotics technologies are set to transform global industries – within the UK alone they will add £183bn to the economy over the next decade.